You are at:Home»GIVEAWAY/TREATS»Exclusive Interview with Serene Seah and Janice Wong, Founders of LeBox and LeBox Giveaway! Most parents may find that teaching their children, Mandarin is a difficult task. LeBox is a purposeful chinese kit to enrich the little minds by encouraging them to learn as they play. 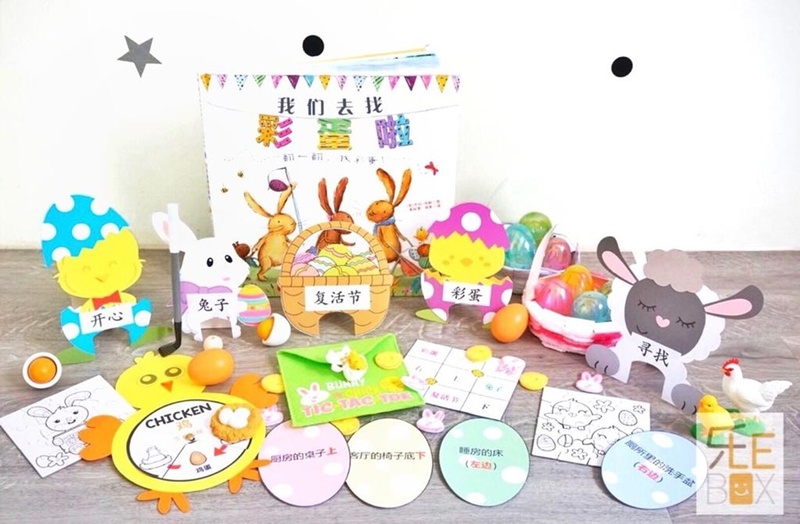 The box contains activities that will expose children to pick up Chinese, understand more of the language in a fun and engaging way. LeBox is suitable for children ages 2 to 7 years old. 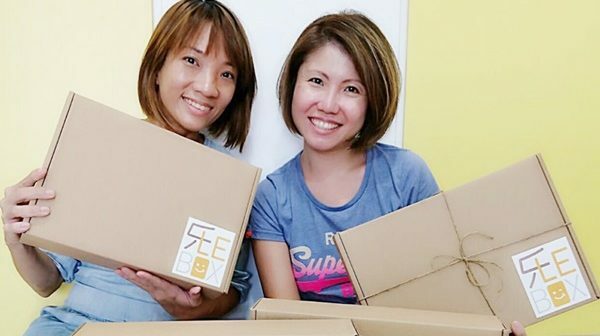 LeBox is founded by two crafty moms, Serene Seah and Janice Wong. 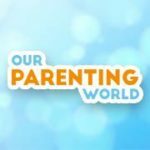 Our Parenting World – OPW Media team is pleased to be able to interview the two inspiring mothers to find out more. 1. Please share with us more about your background and LeBox? 2. What inspired you and your partner to come up with LeBox? Janice: My son was my inspiration. He didn’t want to speak Mandarin back then. I had to think of ways to engage him. Seeing many mommies faced with such a problem as well, I decided to extend my activities to the mass market. The boy is also the inspiration behind our name. And today, he speaks Mandarin relatively well and can recite. Serene: I love to craft and have been making learning kits for Xavier when he was a preschooler for home-learning purposes. I saw that many friends around me faced similar problem, they do not know how to teach Chinese and due to minimal exposure, the children find it a challenge to learn this mother tongue. Hence, we hope Lebox is the box that can help children ignite the interest in learning Chinese. 3. What’s unique about LeBox and how it will help to develop a child’s interest in Mandarin? Both: We believe strongly in learn through play hence our products are specially curated and created with this mantra in mind. When kids are engaged in activities they like, the connections of neurons increases. These connections are particularly active before the age of 6yo, hence we hope to reach out to busy parents and allow them to bond with their children, at their own pace in the comfort of their homes, in the most effective way through our purposeful activities. We often get questions like how old are our boxes for. Can our child do it? We don’t like to put a number. Every child is unique. They should learn at their own pace. Our materials generally cater for 3 to 7yos, however, it all depends on the level of understanding of the child. Our activities are rather flexible, so it can be manipulated and fine tuned to suit the level of your child. It all depends on your creativity and we are most willing to throw in suggestions via our instagram account (@leboxsg). This is the stage where input is of utmost importance. Even if the child does not seem to comprehend, they are silently absorbing. 4. What are some of the challenges that you faced in running your own company? Janice: Balancing work and family. Time is always not enough and we often have tons on our plates. Family comes first, so often we have to put in the hours after they are asleep. Being a full-time working mom also does not allow me to meet up with Serene as often as I would like, hence staggering our communication which is often only through phone. Serene: It is definitely not easy especially when both our schedules are totally opposite and we are staying at the opposite poles of each other as well. Time and manpower are two challenges. As some of the activities are created and crafted from scratch and by hand, this actually hinders on the number of boxes we can produced. It is always limited to a certain number of boxes. 5. How do parents choose the right subscription box for their kids? Both: The right subscription box should be colourful, meaningful and engaging. Children this age are naturally drawn to colours. It should be one which encourages and supports your child’s learning. 6. What’s your advice to someone who aspires to be an entrepreneur like yourself? Janice: Perseverance and willingness to sacrifice. Serene: Good time management and I am still learning! Sleep lesser (It’s true, given the limited time I have on hand). 7. Understand that you are a mother of two lovely children, how did you manage to juggle both work and family life? Janice: I honestly do not know how I do it, but i guess it is the sheer pleasure and passion in what I do that keeps me going. However, I do pride myself for my immense ability to multitask. This is a superpower all mommies seem to have. The greater your power, the stronger your ability to juggle! Serene: I work when my children are not around, play around with my time and yes, multi-task on top of the many endless chores I have on hand. But having said that, family and kids are still my priority. 8. How parents can empower kids to make a difference? Janice: Kids need to learn to have responsibilities and be empowered in certain areas from young. Children have responsibilities and expectations just like how adults are at work. At this stage, the emergence of self-doubt may begin to set in. Giving them little tasks and letting them have the control in certain things allow them to harness their leadership qualities and enhances confidence. For instance, my daughter is given the responsibility to learn her spelling on her own. Success will be sweeter when she does it on her own. When they succeed, they will they associate it with positive thoughts. Serene: Let them have the chance to be independent and be confident to carry out their responsibilities. I try to minimize helicopter parenting as I feel children cannot be too protected, otherwise, they will never ‘grow’. 9. What are some of the best parenting advices that you have received? Janice: Make warm memories and every minute count because they grow up too quickly! I didn’t quite comprehend this until now! Where did my babies go? 10. Lastly, do you have anything else that you would like to share with our readers about LeBox? Any vision and future plans for LeBox? Both: We hope that everyone will find joy in learning Mandarin with LeBox. Our vision is for both Chinese and non-Chinese to be able to learn through play with us! Thank you Serene Seah and Janice Wong for taking our interview! In addition, LeBox is coming up with its latest kit for Easter which is packed with loads of egg-citing activities. 1. Literacy:: “我们去找彩蛋啦” is a beautifully illustrated book with interactive flaps for the little fingers to go on an egg hunt. 2. Reinforce some of the words in the book through a game of mini golf. This one-of-a-kind set is a great family bonding game. 3. Colour the puzzle. These pocket sized puzzles are great to include in your busy bag. After colouring, the kids get to harness the mental learning benefits which puzzles has to offer. There will be two included in the set and that will provide hours of fun. 4. Fine motor skills is developed through weaving of a basket. Great way to train their patience and concentration. You’d learn ABA patterning during the process. 5. Egg hunt. Get familiar with the house using the clue cards while hunting for the eggs. Learn PREPOSITION at the same time! 6. Tic-Tac-Toe: Two mats are included in this set. One allows the child to play while reinforcing word recognition while the other is for those who aren’t quite ready yet. 7. Learn Science through this interactive spinwheel which shows you the life cycle of a chicken. [Discount Code] – LeBox is giving 10% discount to all our readers, just quote OPW10 when you make the purchase. Thanks to LeBox, we are giving away one LeBox worth $55 to 1 Lucky Reader that is packed with loads of exciting activities for your child to have fun learning Chinese! LeBox will be send directly to the winner. Hurry, giveaway will close on 21 April at 23:59Hr. Winner will be announced in Instagram giveaway thread and provide details via DM for the organisers to send LeBox to you.